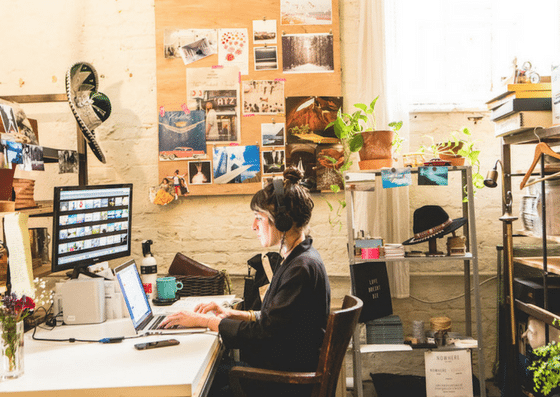 Nowhere Studios is located in the heart of Brooklyn, on the border of Crown Heights and Bed-Stuy. 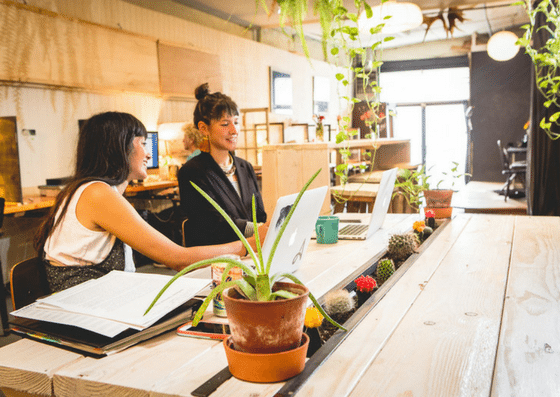 They offer coworking spaces starting at $150/month for nights & weekend use, $195/month for 24/7 access, and $350-$575/month for 24/7 access with a dedicated desk. Their amenities include private phone booths, lockers, bike racks, and more. 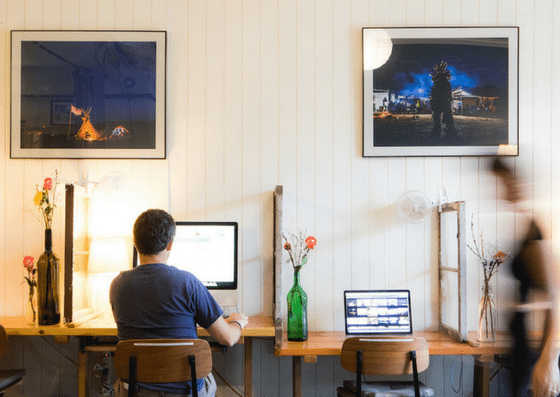 At Nowhere Studios, members can use their coworking space on weeknights and weekends for $150 per month. They also offer 24/7 access to the workspace for $195 per month. 24/7 access with a dedicated small desk costs $350 per month and $575 per month for a big desk. Nights & Weekends $150 per month Comes with use of the entire facility from Monday - Friday: 6pm-midnight; Weekends: 7am-midnight. 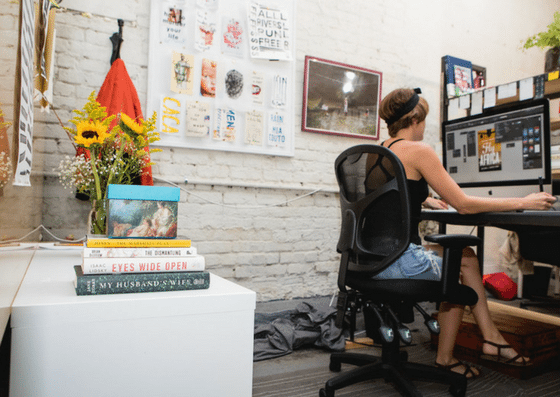 Flex Space $195 per month 24/7 Access and pick of any seat from more than 30 different workstations and enjoy free coffee, roof chilling, and the full kitchen. Small Desk $350 per month 24/7 Access plus four-foot-wide dedicated desk, dedicated power strips, and privacy screens. Also comes with use of the common/meeting space, kitchen, and roof deck. 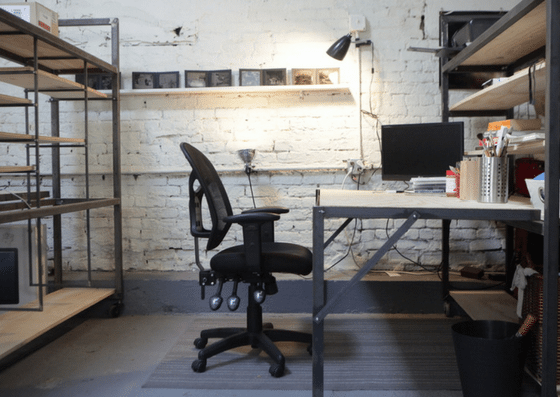 Large Desk $575 per month Custom-made, 6-foot-wide industrial desks with built-in storage, custom shelving and privacy in a studio.